It’s hard to get away from the news of the government shutdown currently taking place. According to Hashed Out by SSL Store, agencies like Homeland Security, the Transportation Department and the Justice Department are all closed, and about 80,000 workers are currently not working or are working without pay to perform duties like traffic control. During a government shutdown, there are certain employees who are deemed essential and are exempt from the shutdown, according to Axios. Since Homeland Security is shut down, this means the newly created Cybersecurity and Infrastructure Security Agency is stripped down to only those employees who have been deemed essential, and all other employees are not working. It’s no secret that there has been concern about the state of our nation’s cybersecurity with all employees working, so we can only imagine the cracks that are left when the agency is stripped of valuable personnel. In addition, the immediate impact could be nothing compared to the lasting impact this shutdown has on our country. According to Axios, after a government shutdown, the simple functioning of these departments lags behind. “Government shutdowns tend to affect support activities disproportionately, such as hiring or vetting contracts. Thus, over time, personnel slots will go unfilled and contracts will expire, making it difficult to sustain the workforce or upgrade equipment,” says Michael Daniel, former White House cybersecurity coordinator. 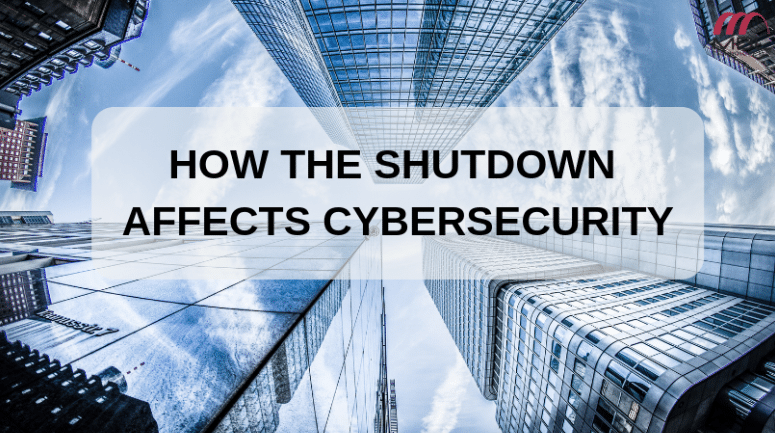 While cybersecurity is a sector that desperately needs all the talent it can get, a government job doesn’t sound as appealing when you consider the fact that a government shutdown means these employees go without pay and work for a period of time. This alone puts a damper on the government’s ability to hire cybersecurity talent compared to other companies, even though they are arguably the ones who need it the most. This government shutdown will hopefully come to an end soon, but for now, the repercussions are already there. We at MDL Technology have a host of cybersecurity solutions for your company, including disaster recovery and dedicated monitoring. See more on our website.